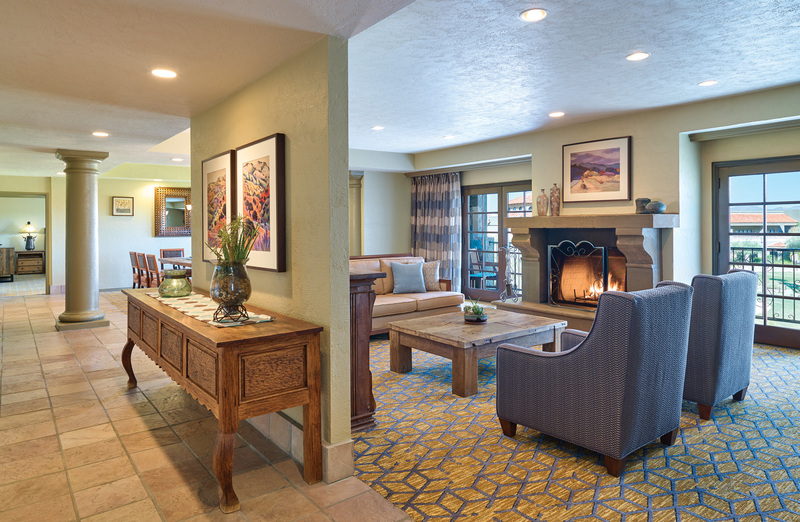 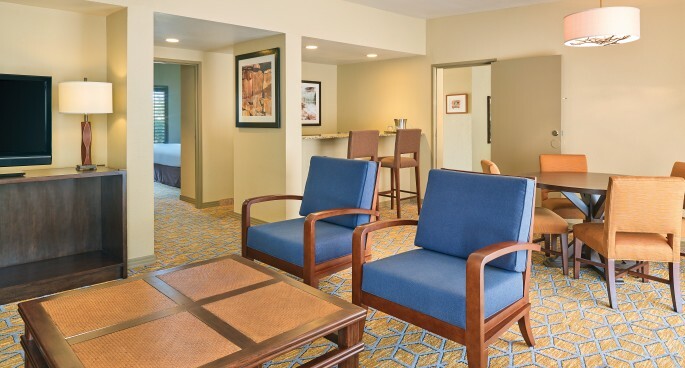 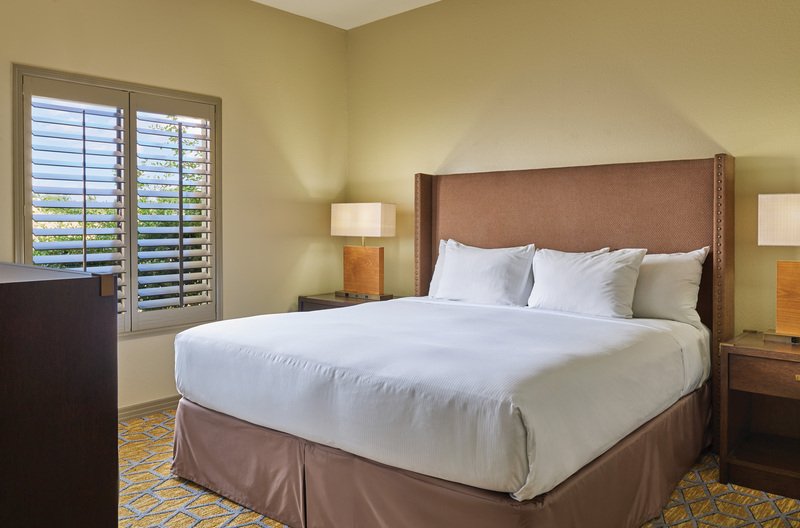 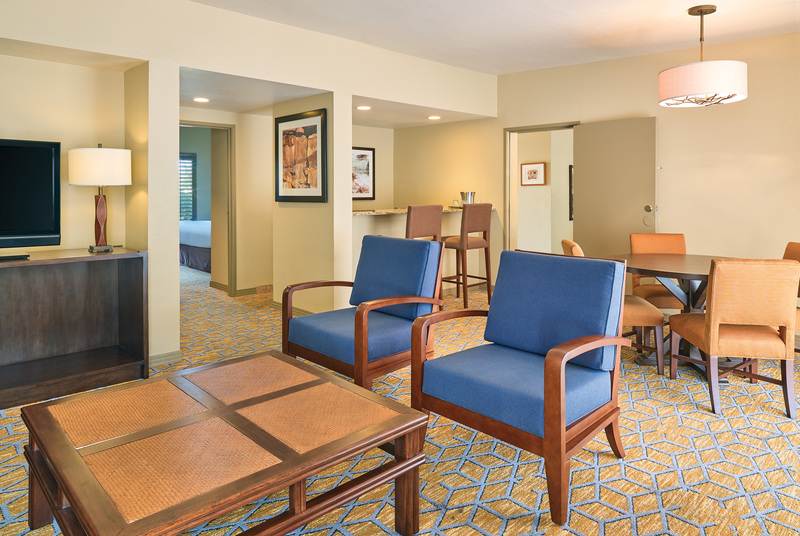 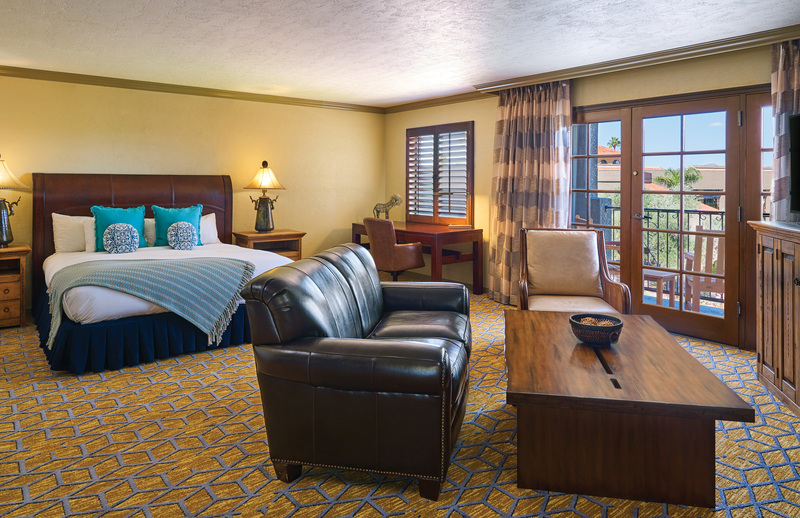 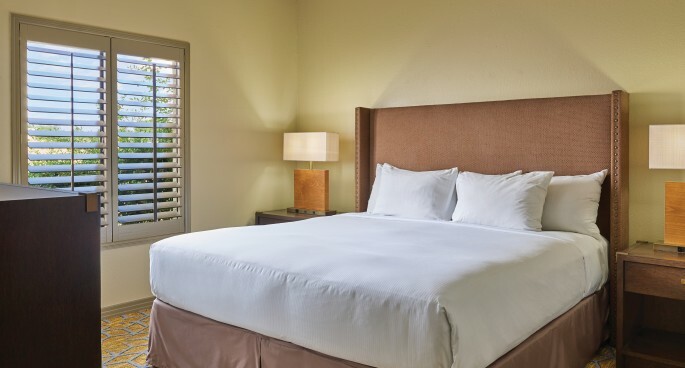 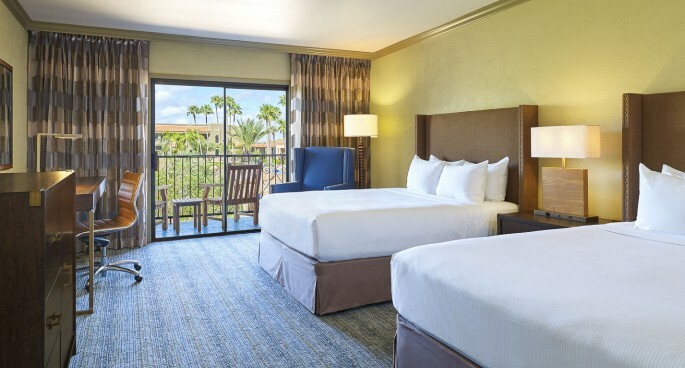 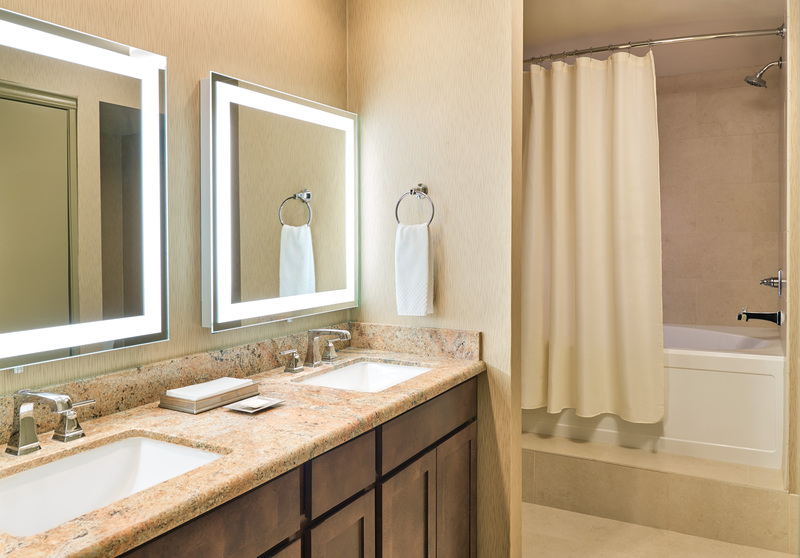 You’ll feel at home the moment you step into your softly hued, spacious guest room, suite or casita, guaranteed to have the best desert-and-mountain views in town. 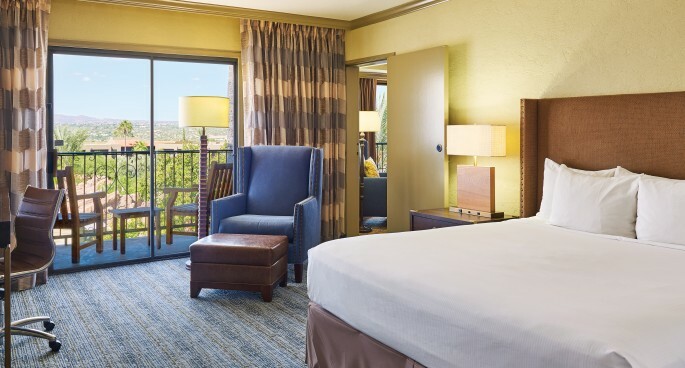 Our signature touches include oversize sitting chairs with ottoman, luxury linens, a Hilton Serenity Bed, Peter Roth Skin Care bath products and a balcony with breathtaking views. 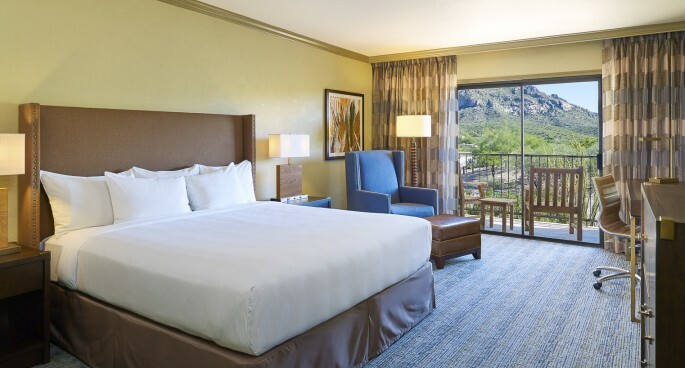 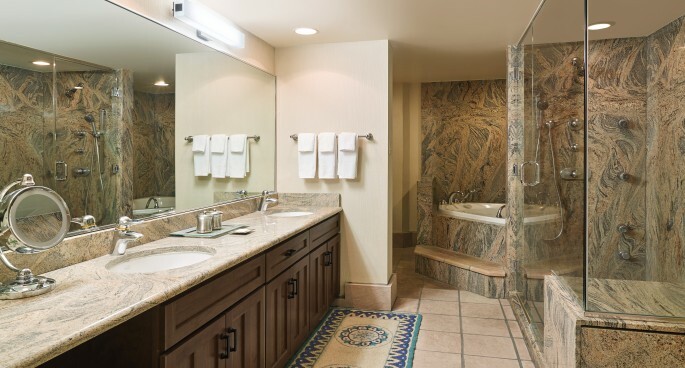 Whether you’re traveling for business or pleasure, you’ll immediately see why our luxury Arizona resort has been awarded the prestigious AAA 4-Diamond rating 34 years in a row. 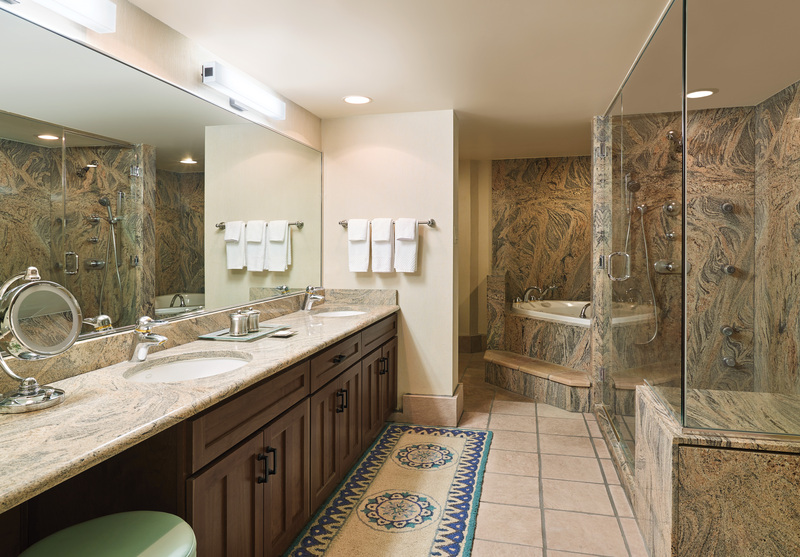 Photos are typical examples and some rooms may vary slightly. 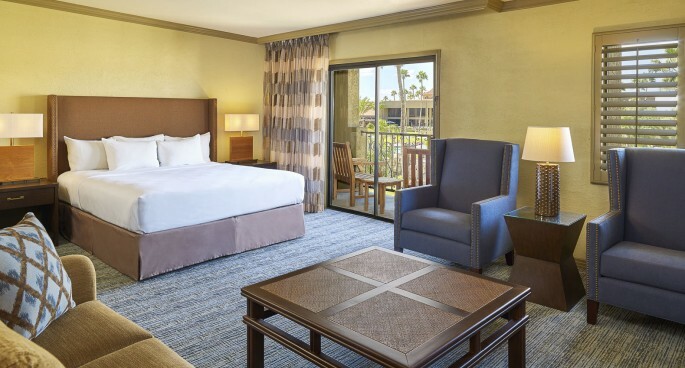 Each guest room is a calm oasis featuring hues inspired by the desert, oversized sitting chairs with an ottoman, signature linens, and a balcony overlooking the mountains or desert. 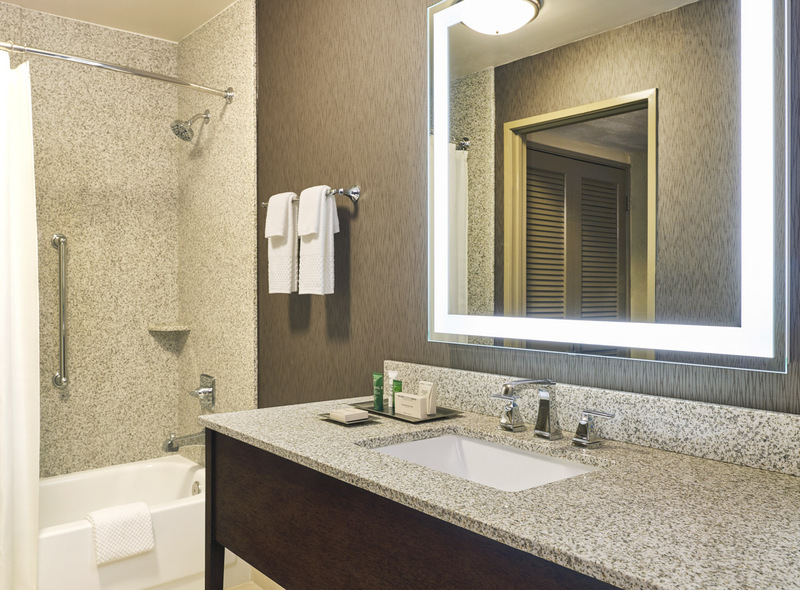 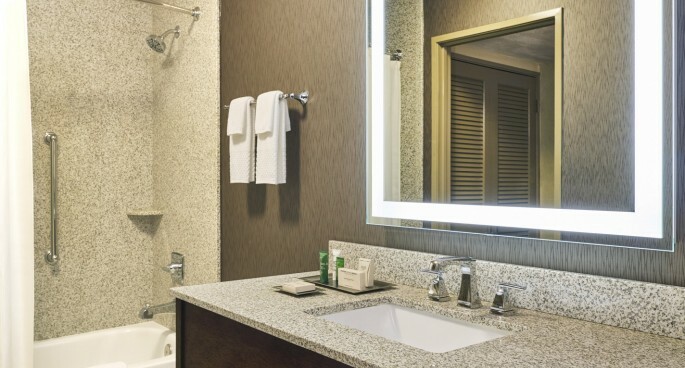 Single King and Single Queen rooms available as ADA-compliant. 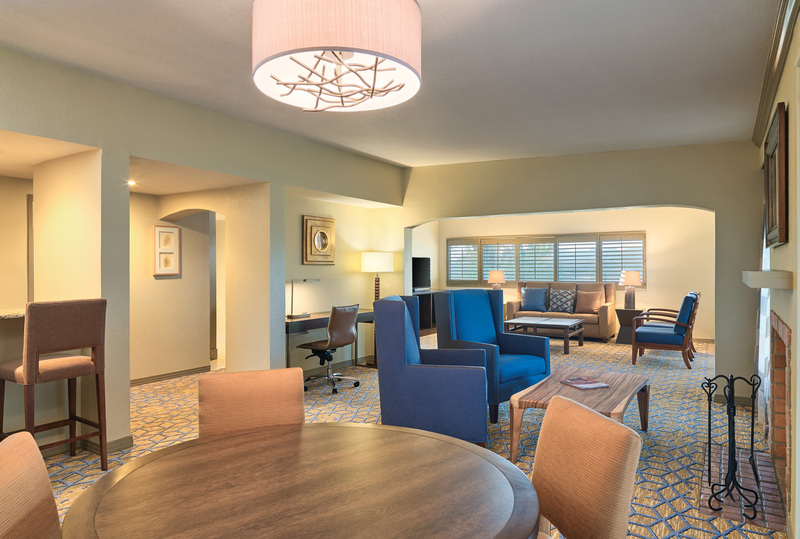 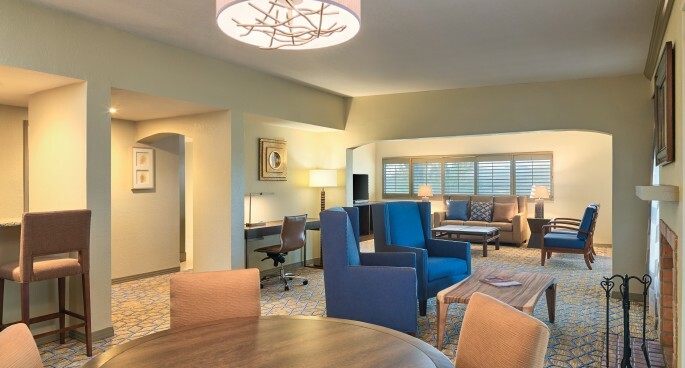 Decorated in soothing desert hues, our Junior Suites offer ample space to entertain or relax with friends and family, then retire to a king bed or two queen beds - all in one spacious room. 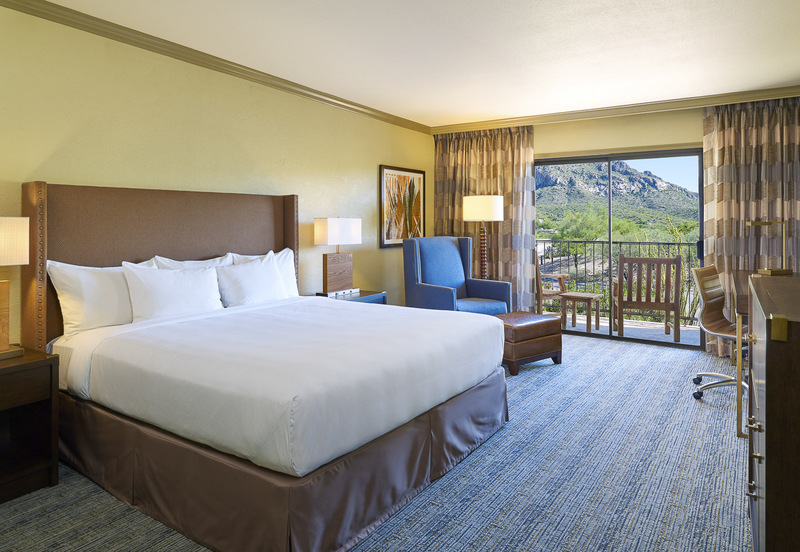 A private balcony overlooks our spectacular Sonoran Desert setting. 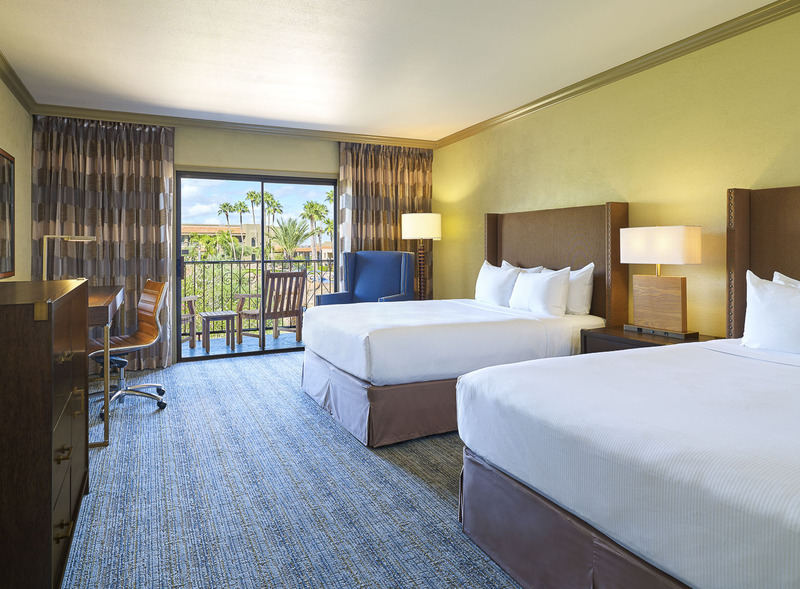 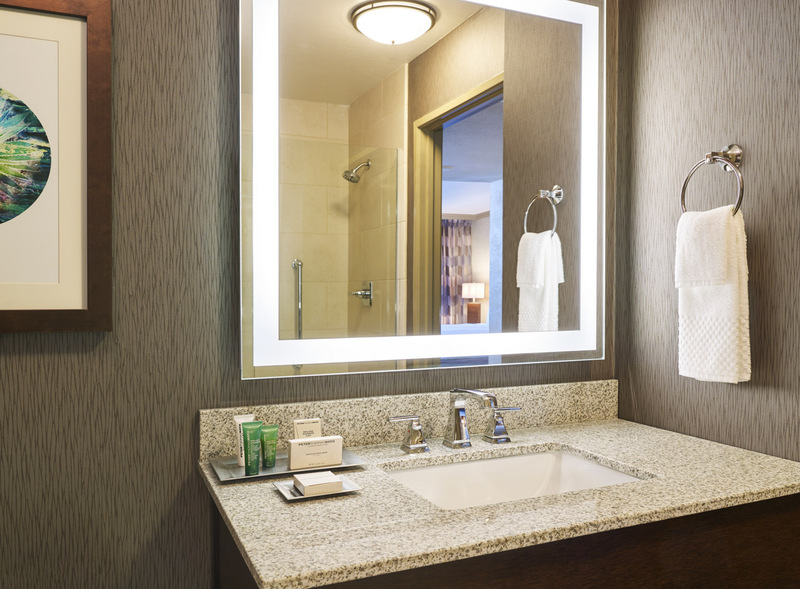 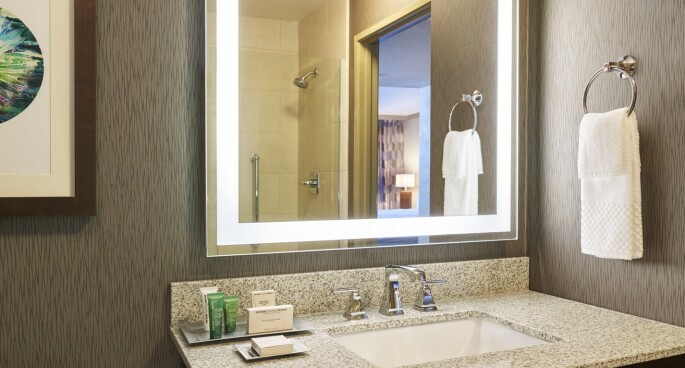 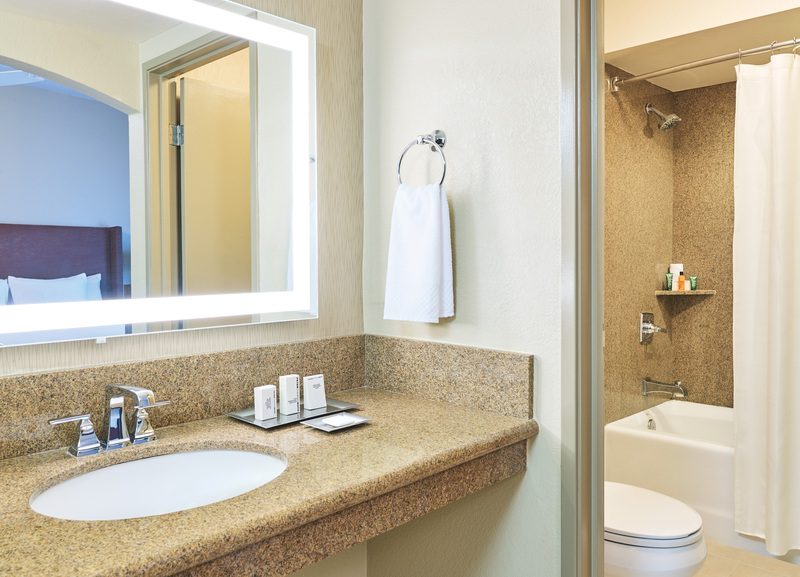 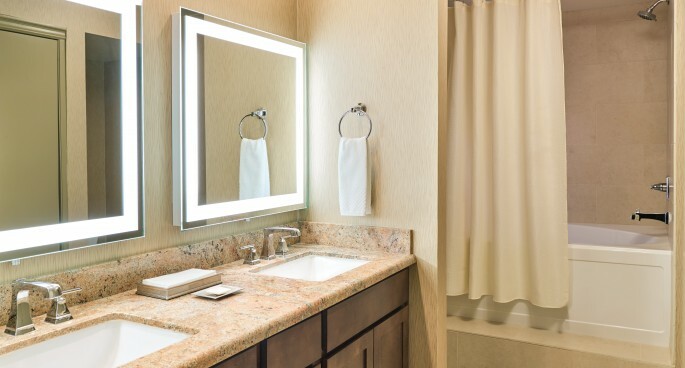 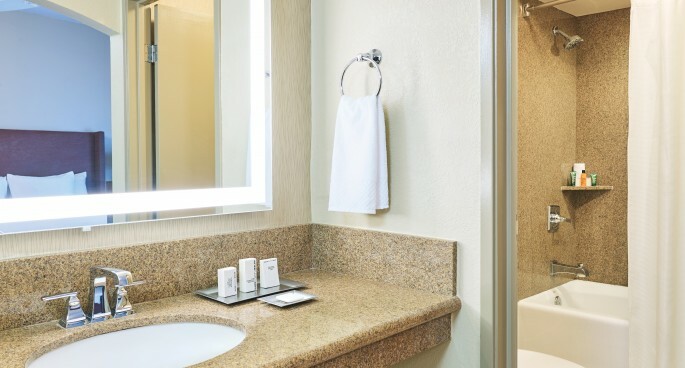 Double Queen Junior Suite available as ADA-compliant. 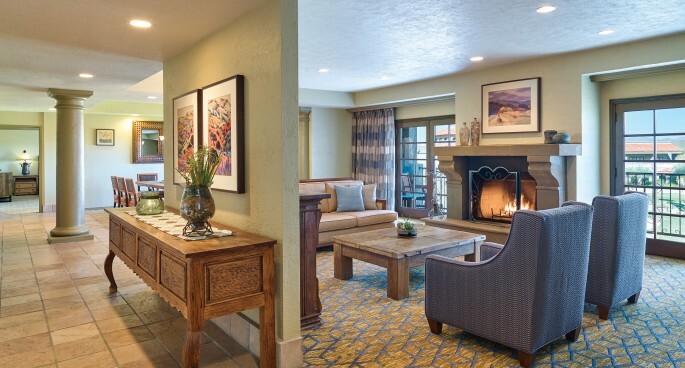 Featuring beautiful mountain or desert views, our secluded one, two and three bedroom Casita Suites feature a separate living/dining room with fireplace, private patio with swimming pool and hot tub. 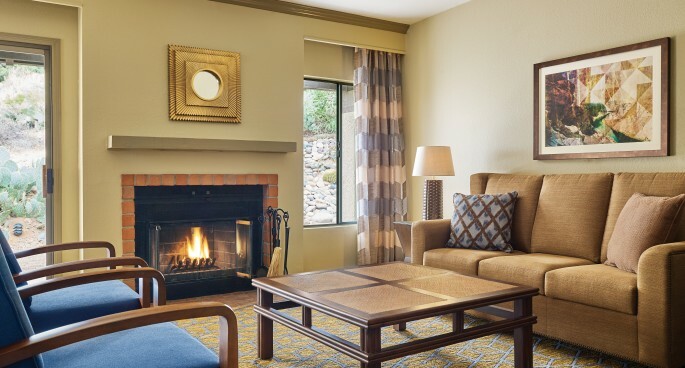 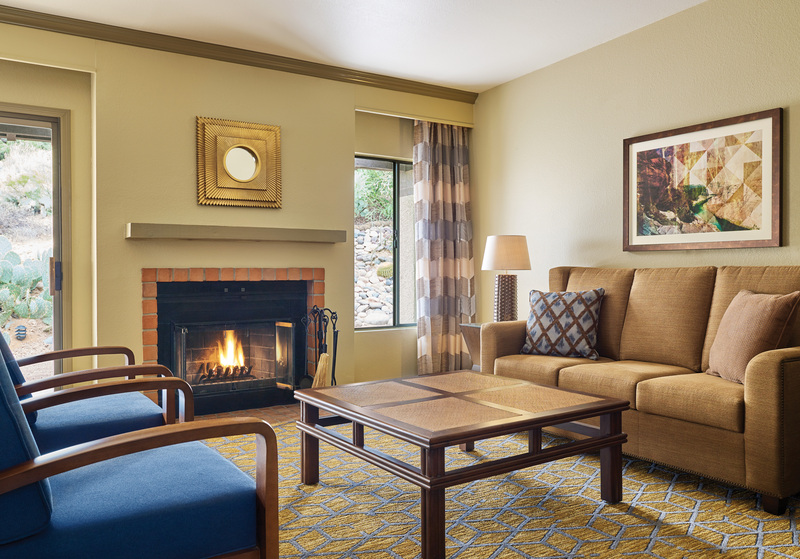 Enjoy home-away-from-home luxury and added space in our Executive Suites featuring a combined living room with fireplace, wet bar, and dining room area. 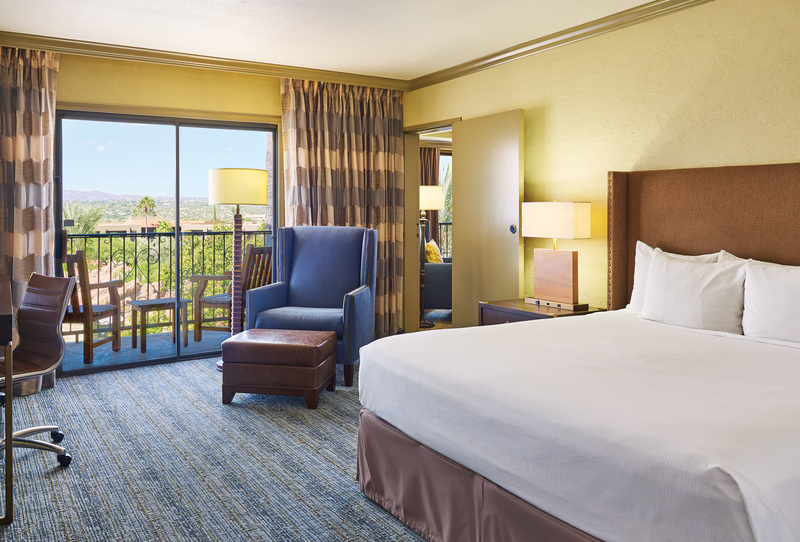 A private balcony offers unparalleled views from the top floor. 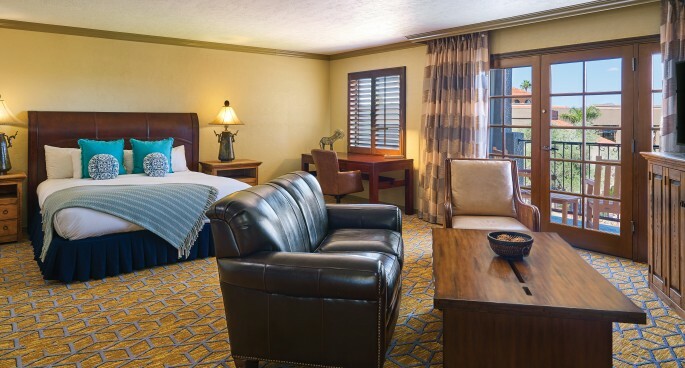 Decorated in calming desert hues, our king-bedded Hospitality Suites measure 1155 square feet and offer completely private bedrooms, separate living/dining rooms and private patios with stunning views of the mountains or desert landscape. 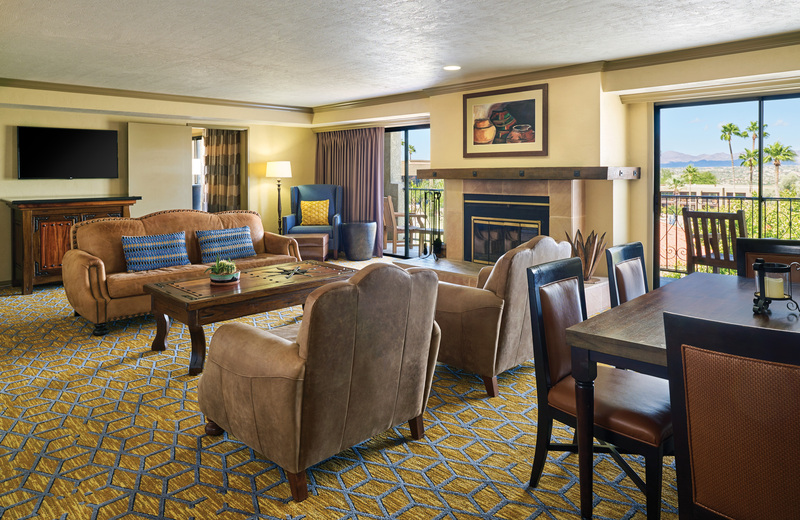 Our Acacia Suites offer a unique desert oasis experience for adults only. 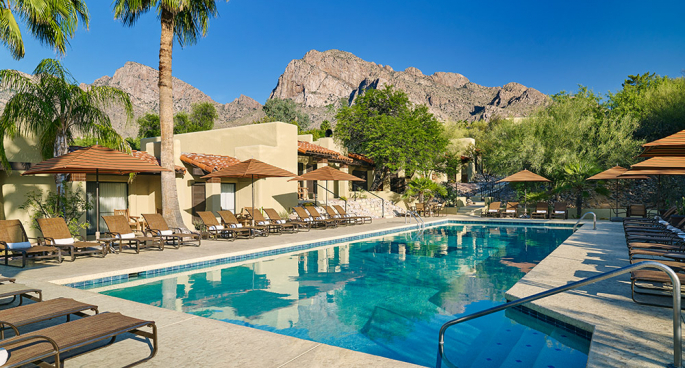 Located in a private enclave, these secluded casitas have a master bedroom with king bed, separate living/dining room with fireplace, and private patio with swimming pool, whirlpool and upgraded amenities. 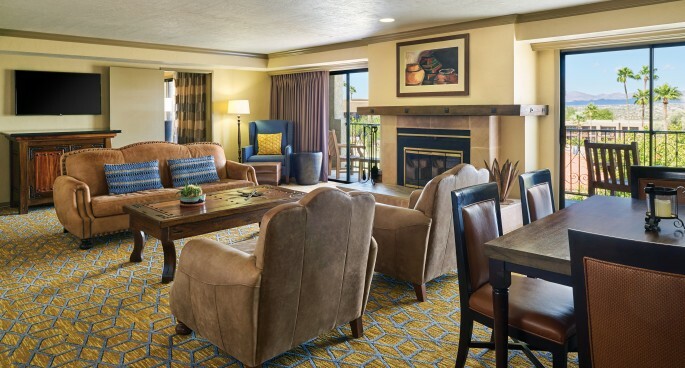 Our lavish Presidential Suite is a desert oasis, complete with a living room with fireplace, master bedroom with private bath, separate dining area, wet bar and private balcony with beautiful poolside views. 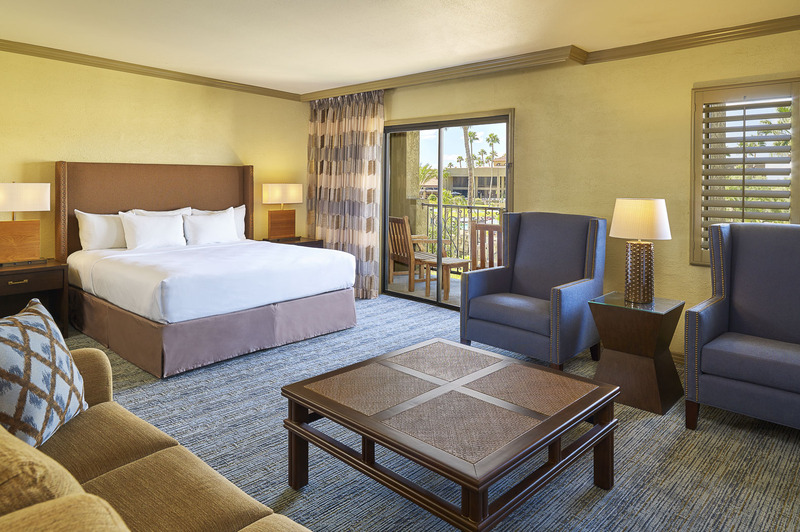 Please call the resort directly at (520) 544-5000 to reserve this suite.